I am always looking to read books set in one of my favorite cities. I’ve been in love with New Orleans for longer than I can remember. Absolutely everything about New Orleans and Louisiana. 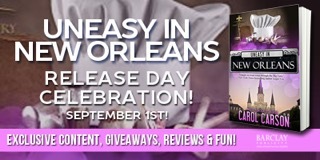 I was thrilled with the opportunity to read Uneasy in New Orleans. Set in a favorite destination, with a mystery to solve and good eats involved…what’s not to love? 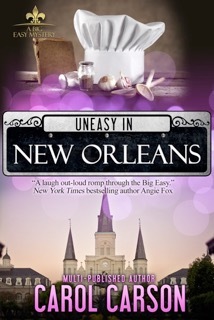 Uneasy in New Orleans is the first in the Big Easy Mystery series. Carson kicks off the series with a page turning, fun read. I’m a Finn fan. 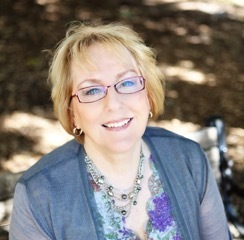 She’s such a fun mix…culinary student, tour guide and photographer. Add in the fact that she sees and talks with a ghost. How can there not be shenanigans occurring? I can’t wait to read more. I want to know what is going to possibly develop with Jack. And Finn and culinary school. I can’t wait for book two and a return to the Big Easy.